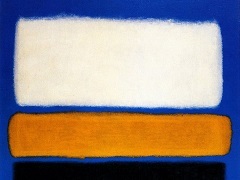 This is one of a group of paintings on paper which Rothko made after a period of illness in 1968, when he was too weak to work on his customary large-scale canvases. Despite his poor health, he apparently painted these works with great energy, moving his whole body, not just his wrist. In Untitled, 1963, Rothko sweeping brushstrokes are clearly visible in the two rectangles of colour which make up this painting. 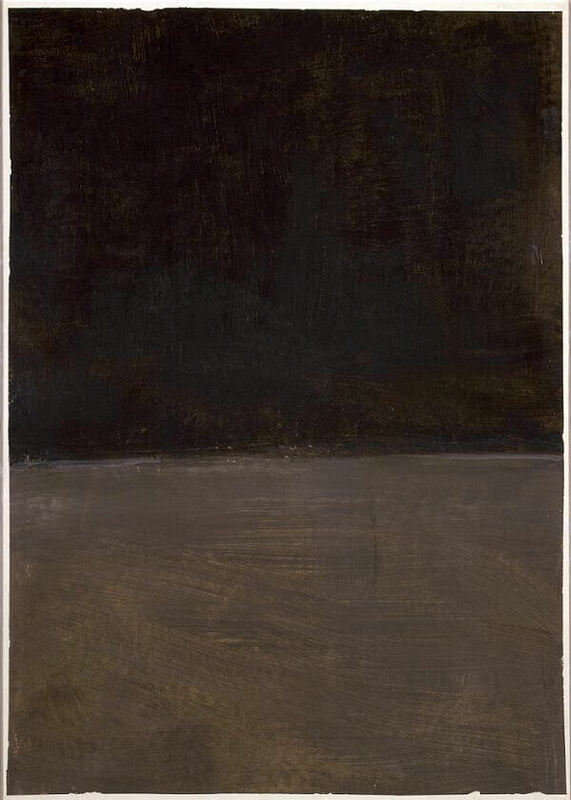 It has been said that Rothko placed the darker colour at the top of the painting in order to prevent it being read as landscape, a reference which he wished to avoid. The white border, which was left by the tape Rothko used to fix the paper to a board when painting, was for him an integral part of the work.